ONLINE gaming company Playtech revealed increased earnings for the first half of the year on Thursday as it was announced that chairman Roger Withers is to step down from the role after seven years. Playtech said underlying adjusted Ebitda (earnings before interest, taxation, depreciation and amortisation) was up 13 per cent to €78.9 million in the six months to June 30, with total revenues up by 15 per cent to €176.8m. Daily average revenues for the first 60 days of the third quarter were up over ten per cent compared to the same period last year and down one per cent from the second quarter in line with what the company described as traditionally the slowest part of the year. Playtech announced an interim dividend of 7.8 cents, but while some analysts thought there was a possibility that the company might announce a special dividend from the proceeds of the £424m they made from the William Hill Online buyout, Withers said the board would take the "appropriate time" to decide how to deploy the capital. Withers, the former Arena Leisure chairman, said he would step down as chairman and as a non-executive director of the group in October, although he would stay on as an advisor. 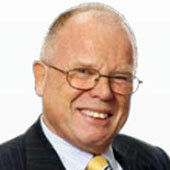 Senior non-executive director Alan Jackson will replace Withers. Jackson has been on the board since 2006 and is also chairman of The Restaurant Group and deputy chairman and senior non-executive director of house builders Redrow. Withers added: "Once again Playtech's tenacity and drive have been demonstrated in these results as it has focused on deepening its licensee relationships; creating innovative new content; and providing its customers with cutting edge products and services. "As online gaming continues to focus on mobile, it is pleasing to see our investment in this increasingly important market paying off across many product areas. "The company continues to capitalise on its customer-focused strategy and strong balance sheet: Playtech remains the world's leading supplier of technology and services for the online gaming industry and can look to the future with confidence and optimism." Playtech shares ended trading on Thursday up 16p at 676.5p.